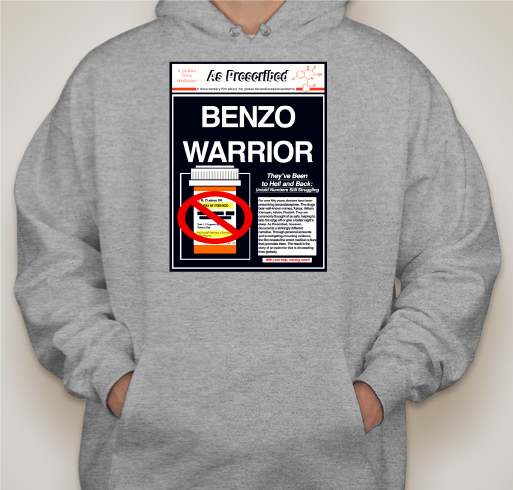 BENZO WARRIORS! 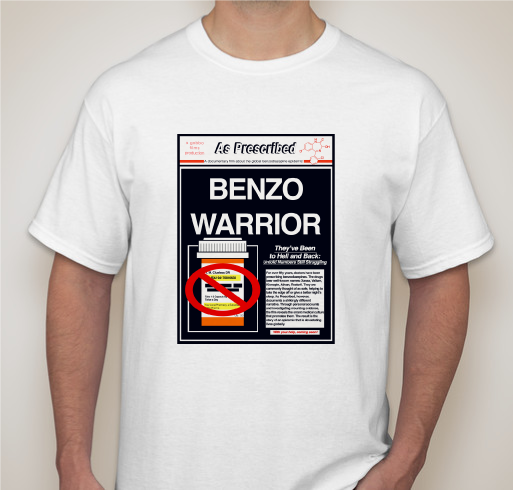 Please support the T-shirt fundraiser for the documentary AS PRESCRIBED! All funds raised will be paid directly to Gobbo Films, LLC, for AS PRESCRIBED, a documentary film about the global benzodiazepine epidemic, a Gobbo Films production. AS PRESCRIBED will be the definitive film on the benzodiazepine epidemic. Let's make change together. Please get on board and support our film and our T campaign. We believe we are making a powerful film that will help to make real change. You've helped us in the past. We need your help again. We're moving into 2017 when we hope to wrap up filming. Every T that's sold brings us closer to our goal of completing the film and making AS PRESCRIBED the very best it can be! I wish to support this due to the confusion,physical/mental/emotional pain this has caused me and no other human needs to experience this ridiculous torment. Thank you for doing this important film which I'll be showing my friends and family. 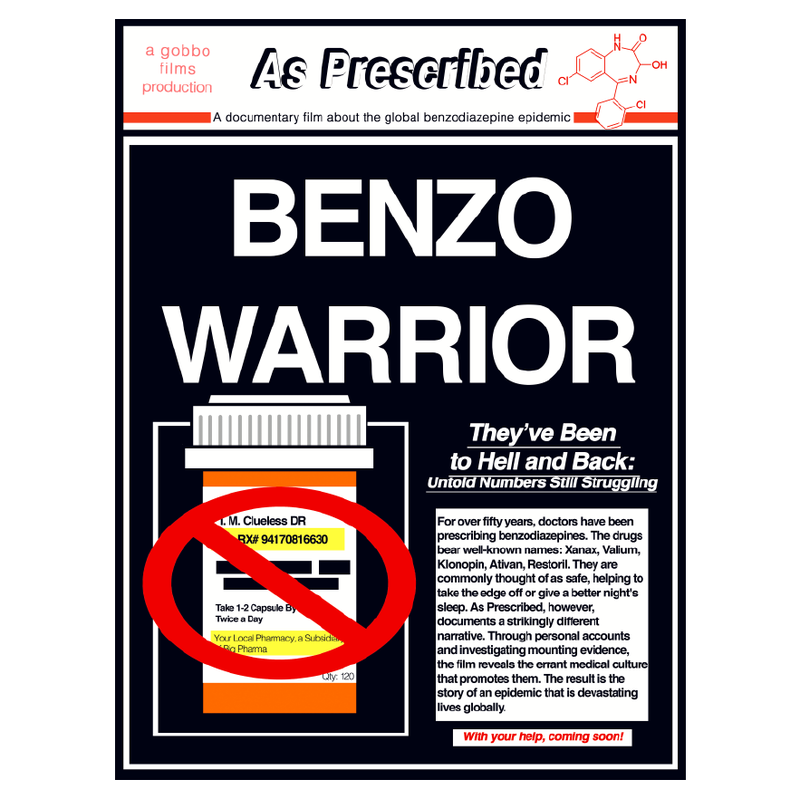 I'm a benzo warrrior and I help others on this journey with EFT. I'm so proud and grateful for everyone involved in this important production! In support of my sister, Paula Mooney. My life has be stolen as a result of taking these drugs for decades. I put my faith in my Dr., took this Rx "as prescribed", and now struggle daily with the effects of withdrawal. If one isn't VISIBLY ill, no one understands. Share Why You Support "AS PRESCRIBED Documentary Film Holiday T-shirt Campaign"